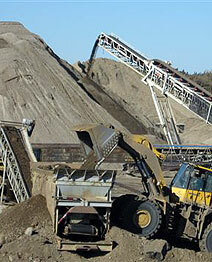 The Alberta Sand and Gravel Association Members consist of over 80% of the active aggregate operations within Alberta. The Alberta Sand and Gravel Association represents a voluntary membership of over 200 aggregate producers, consultants, associates, Municipal Districts, Counties and other key stakeholders with special interests in aggregate. The ASGA membership is diverse, welcoming a number of new members each year with varying roles in the province’s sand and gravel industry.